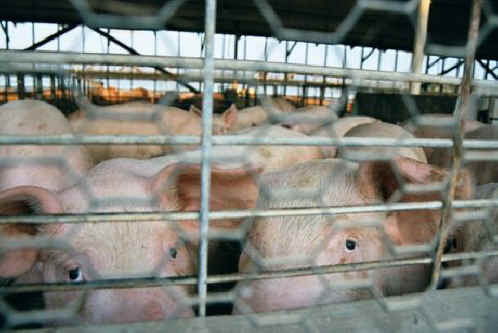 (Pig Exploitation - Factory Farming - 25) Every time we look into the faces of farmed animals, like these two pigs, it's almost as though we can "hear" their haunting questions: "Can you help us? Why are they doing this to us? When is it going to stop?"